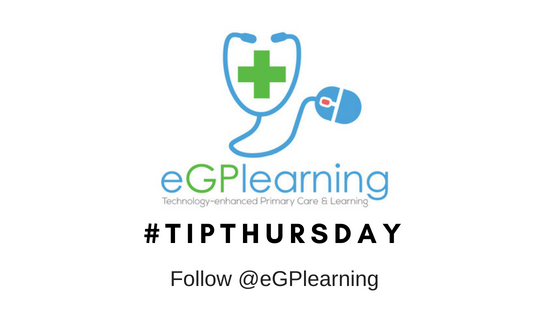 eGPlearning TipThursday - When should I worry? When should I worry? This is a common question for parents when looking after an unwell child. In primary care, this can often be a challenge for clinicians to manage due to parental anxiety, the expectation of treatments like antibiotics, concerns about antibiotic resistance and growing demand. A helpful resource which can be used with and for patients is the When should I worry booklet found at www.whenshouldiworry.com. This short booklet provides clear and helpful advice on managing common conditions that can be self-managed by parents, with advice on self care options, symptom management and importantly clear guidance on when to see further advice. For proactive practices, you could send this as a public information message to all registered parents or share via practice social media channels. Comments, share and keep eGPlearning.